On Saturday June 18, President Obama delivered remarks in Yosemite National Park to an audience of about 200 in a scenic meadow with a majestic view of Vernal Falls behind him. Among the audience of conservation advocates was a special group of people. These individuals represent an increasingly important component of the conservation movement – Latino Communities. Ingrained in Latino heritage and culture are strongly-held values of conservationism and fidelity to the land. Protecting public lands are critical to honoring that heritage and embracing the values of our culture. For those members of the Por la Creacion: faith - based alliance, their conservation advocacy comes rooted in their faith. For the young adults of the Latino Heritage Internship Program, this advocacy comes from an intersection of their academics and culture. For others, simply their love for the outdoors binds their commitment to conservationism. 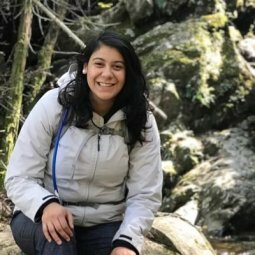 The diversity within this group is an example of the mosaic that is the Latino conservation movement and the plethora of reasons why Latinos are actively engaged in environmental issues. This multigenerational constellation of Latino conservationists are the future of the conservation movement. Today at a time when we are seeing extreme anti-public lands rhetoric in Congress, support for the continual protection of our public spaces is critical. The Latino community, with all its diversity, has risen as a large supporter of the Administration’s efforts. We were a vehement voice of support in the California Desert for the recent designations of the Sand to Snow, Mojave Desert, and Castle Mountains National Monuments. As we reflect on the accomplishments of the Administration in conservation and wildlife protection, we agree that “... we’ve got more work to do to preserve our lands and our culture and our history.” The Latino Conservation Alliance calls upon the President to keep true to his word by taking action in protecting areas important to Latinos. We support the designation of Rep. Grilijava’s (AZ) proposed Greater Grand Canyon Heritage National Monument, which seeks to protect areas at risk of uranium mining, and clean water contamination from such mining. We support the proposed Cesar Chavez National Historic Park by Rep. Ruiz (CA), that seeks to increase awareness of the historic contributions made by Cesar Chavez and the United Farm Workers to the American story.The protection of these areas will not only protect Latino American history and culture, but also the land, clean water, and clean air from which the health of our communities depend upon. This year, the Centennial year of the National Park Service, we support and echo the requests of The Next 100 Coalition, that you, President Obama, might ensure the second century of conservation in America reflects the full diversity of our nation’s citizens; respects the historical, cultural and spiritual stories and unique contributions of all Americans; and actively engages all people. The Latino Conservation Alliance is a coalition made up of non-profit organizations dedicated to advancing and highlighting Latino priorities in conservation public policy.